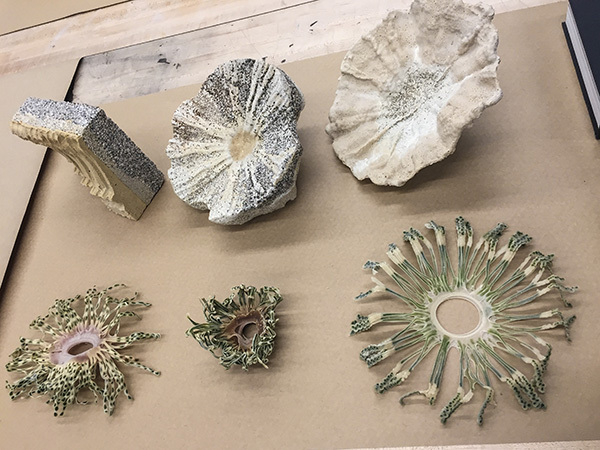 BiotA Lab bioreceptive architectural material prototypes from the Biofabricate 2016 conference. Over the weekend, I found myself in a small biohacker space in Brooklyn. Seemingly a far cry from my usual wanderings at museums or Parsons’ Making Center, it felt fitting to be taking a sample of my own DNA to learn the protocol for a space I hope to find myself in more often. 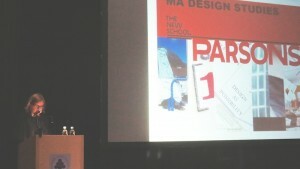 Professor Yelavich at the FAIR Design Conference in Warsaw, Poland. Leisure would seem to be exempt from design’s interventions. The word implies unstructured pleasure from activities chosen and pursued at will; whereas design aims to reconfigure experiences and mediate them through systems, places, and things. Even design that positions itself as a catalyst—like a hiking trail that is more means than end—exerts a measure of control and configuration. Admittedly, there are leisure activities like meditation that are not dependent on things, but even they require space, whether found or purpose-built. So, counterintuitive as it may seem, leisure is not exempt from, but rather open to, design. The challenge to design, in an age of leisure marketing, leisure destinations, even higher education degrees in leisure, is how to enhance leisure without being overly deterministic. Just as Adorno cautioned that the art of giving gifts is all but lost, we are now in danger of ceding leisure to the industries that produce (and design) environments that script the escape of pressure and the pursuit of pleasure. Furthermore, with digital technologies that support both work (paid) and leisure (unpaid) within the same devices, we must ask if design should do more to preserve the frisson of contrast between the obligatory and the optional. Alternatively, we might also consider whether life would be richer if the distinction between leisure and work disappeared by virtue of being interwoven by design. In both cases, we must ask who works and who pays for our leisure and whether that work and the economies it supports are exploitive or nourishing. Understanding the relationship between the scripted and the unscripted, between time as a unit of measure and time as experience, and whose time and labor are entailed in shaping those experiences are prerequisites for designers addressing leisure today. For whether it is pursued socially—community gardening, playing sports—or in individual activities—reading, daydreaming—leisure is incomplete unless it allows for genuine agency and the possibilities of meandering and serendipity. Otherwise, leisure runs the risk of eliciting its nemesis: anxiety. How might design provide a new approach to inform public policy planning and implementation? 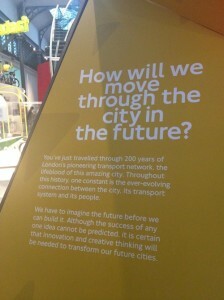 And what brings designers and public policy makers to sit at the same table and discuss social issues? On September 4, 2014, I presented an academic paper “Design Capabilities in the Public Sector” at 19th Design Management Conference, which was held in London by Design Management Institute. With its definition expanded by the knowledge of design history, political science, sociology, anthropology and management, it appears that the meaning of design is changing and widening from creating an artifact to using artifacts in a broader context to drive behavioral change. In the first year of Design Studies program, I was challenged to rethink everything in my everyday life, from a chair, a potato-peeler, an iPhone, to a subway map diagram and the natural and artificial world that we all live within. I was challenged to depart from tangible and familiar forms of objects and dive into intangible and unfamiliar internal structures and intentions that were embedded in objects. In trying to understand the essence of design, my research has led me to think about the relationship between design and public policy. Not just public policy for the design industry, but more importantly, the design of public policy, public organizations, city-level systems and management, that, on one hand are so intangible, yet on the other, so close to our everyday life. The paper I presented in London—based on thinking design at a systems level, human- centered value and design capabilities—tries to explore a common ground, to bring design communities and public policy makers to work together to improve social causes and address long-term public policy effectiveness. Approaching public policy as design artifact provides a new avenue to rethink capabilities of design. I used the Transport for London as one of case studies and illustrate four attributes that design artifacts and public policy share. Both public policy and design artifacts exist within constraints and boundaries, form their task structures hierarchically, rely heavily on negotiation between process and incommensurability, and synthesize their outcomes from components and resources. In this case, the transport system made a good example to illustrate how public service has been designed to meet everyday needs. Everything from the tube map, street signs on the road, different mechanisms to guide pedestrians and vehicles—just to name a few— jointly provide a synthesis to carry millions of passengers across the city every day. Parsons is not currently admitting new students to this master’s degree program. Parsons is now offering a Graduate Minor in Design Studies that is designed to complement the MA History of Design and Curatorial Studies and other graduate programs across the university in design, liberal arts, and social research.